Never wait in line for a drink again. From our unique Eiffel Tower beer dispenser to our assortment of large capacity beer towers we are confident our range can provide the best fit for any brand. Sizes range from standard 3L to 6L and 8L capacities. These can be manufactured in either ABS plastic or acrylic depending on the style. 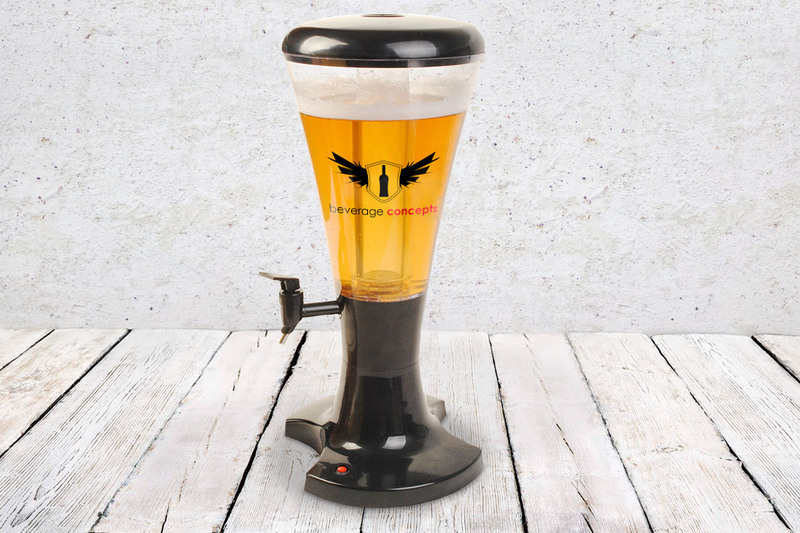 We can work with your brand design to create a completely customized beer tower that will be sure to stand out at any bar, promotional or event. Our beer towers are available in a variety of styles which can be custom printed or manufactured to represent a bespoke design. Our capacities range from 3L-8L with easy pour taps that can be branded with any logo. We also provide a wide range of sizes and can custom design any shape to best match your brand request..